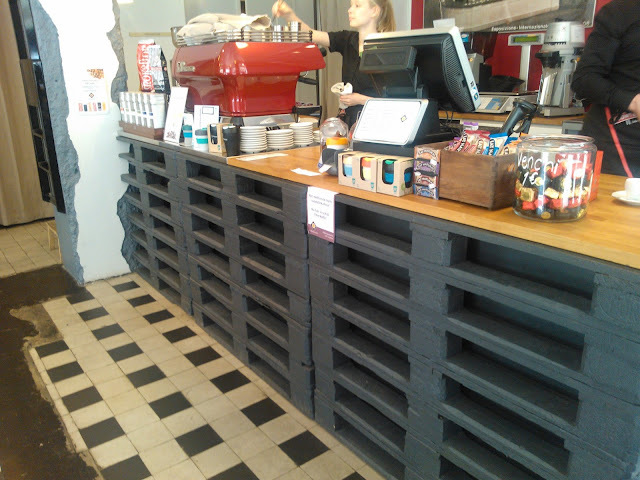 Wooden Euro pallets seem to be at the moment the hot decoration piece for the trendy cafes. These wooden pallets traditionally used for product transport and storage are now turned in to furniture. 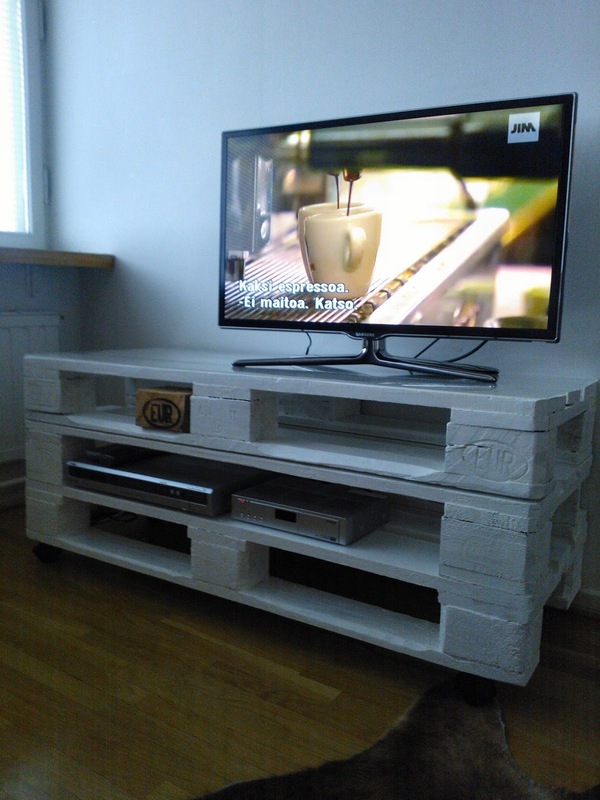 Basically you can easily make a piece of furniture by using these wooden pallets. Either used or new wooden pallets can be used. The used ones might be too damaged and generally I think the ones used for furniture are bought for this use. Anyway, the pallets are not expensive to buy. 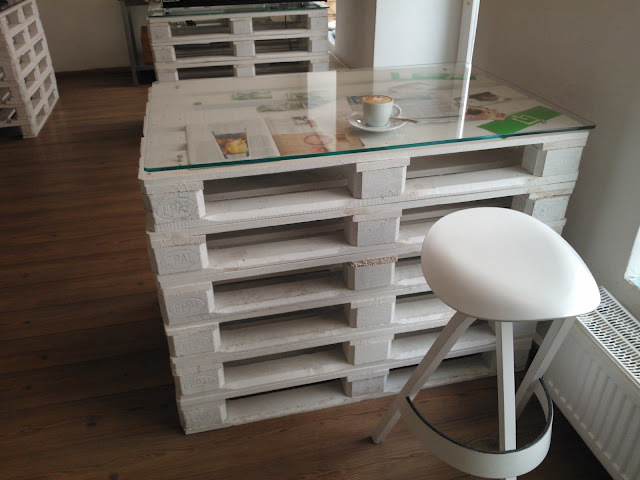 Of course you can also find ready-made furniture made from these pallets in design interior shops. The first time I saw a table made from wooden euro pallets was on the pages of an interior design magazine. I cannot remember anymore which magazine it was. On that moment it hit me: I want a table like that! I am not a handyman myself but with the help of my father I got the coffee table of my dreams! Since then I have seen these wooden pallets made into furniture in many other magazines, shops and now also in cafes in Finland and abroad. In my opinion these coffee tables made from wooden pallets on the one hand look very fresh and contemporary and on the other hand there is a hint of romanticism. 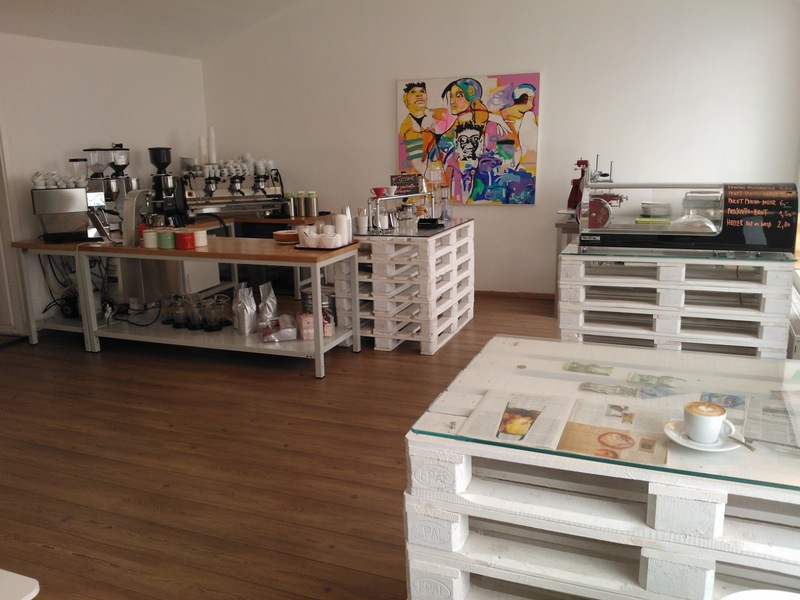 Wooden pallets are also the key element of the interior desing in one of the trendiest places in Vienna to drink coffee, CaffeCouture. Have you noticed this trend and what do you think about it? Is the wooden pallet table a smart piece of furniture or do think its place is in the warehouse? 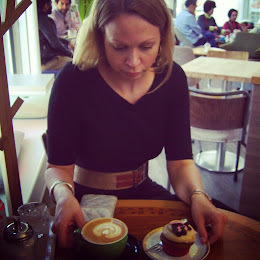 Wow, those wooden coffee tables are so cool – got to have one to myself too! Thanks for your comment, they sure are cool! The table is actually not that difficult to make, I encourage you to make one for yourself! Hi, thanks for your comment! Hardware stores such as K-Rauta, Rautia or Byggmax sell those wooden pallets. At least K-Rauta has a store in Ruoholahti in Helsinki.